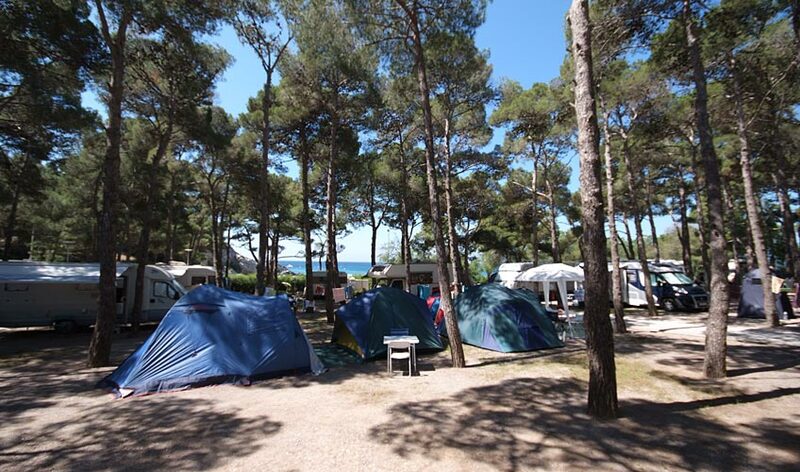 The Camping Village Europa covers an area of 36.000 square metres, on a hill that on one side slopes right down to the sea; from here, the view of the coasts of the Island of Elba is breathtaking. 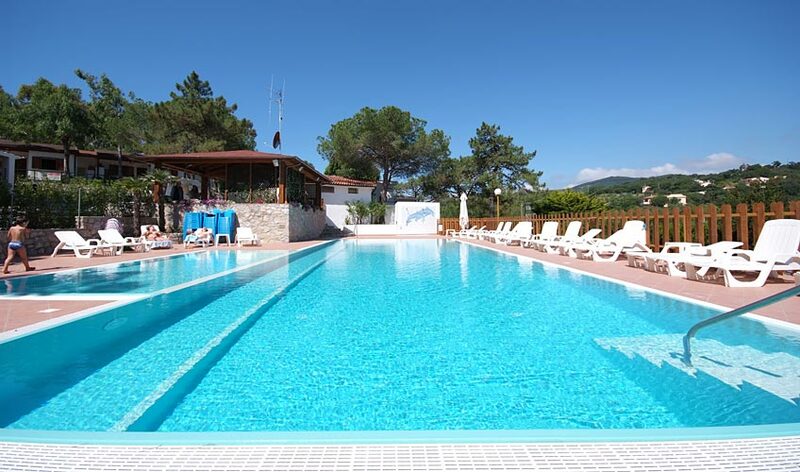 The campsite looks over the beach of Lido di Capoliveri on a coastline far from the hustle and bustle of the tourist resorts, and is perfect for a cool, relaxing holiday in the shade of pine trees and eucalyptus that are centuries old. 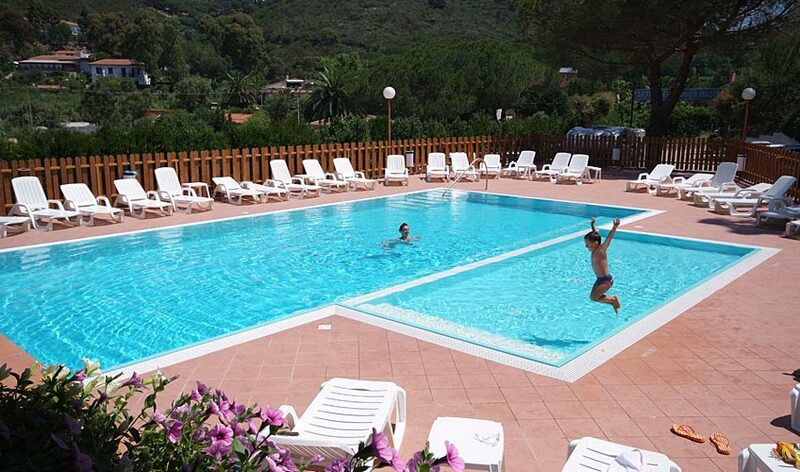 Some of the important and most popular tourist resorts like Porto Azzurro, Capoliveri and Portoferraio are only a few kilometers away and are easy to get to (Capoliveri is connected with a shuttle service during the day). 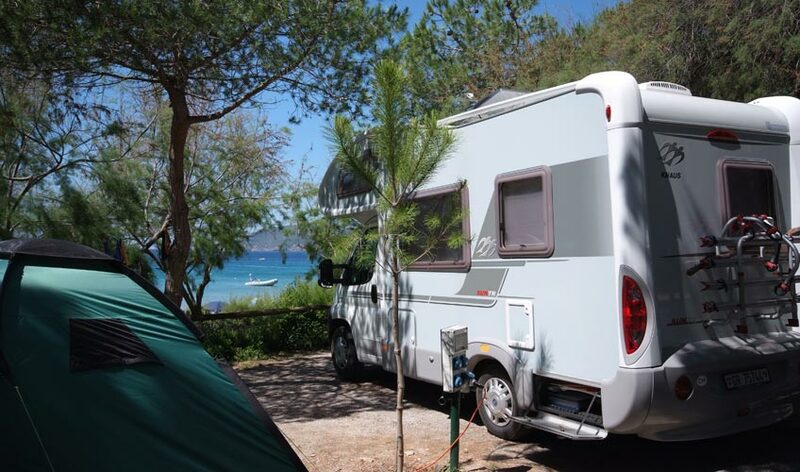 Guests can also rent fully furnished Maxi Caravans on our campsite, that can sleep up to a maximum of 4; we also have 25 Caravan Country and 23 Caravan De Luxe that sleep up to a maximum of 6. 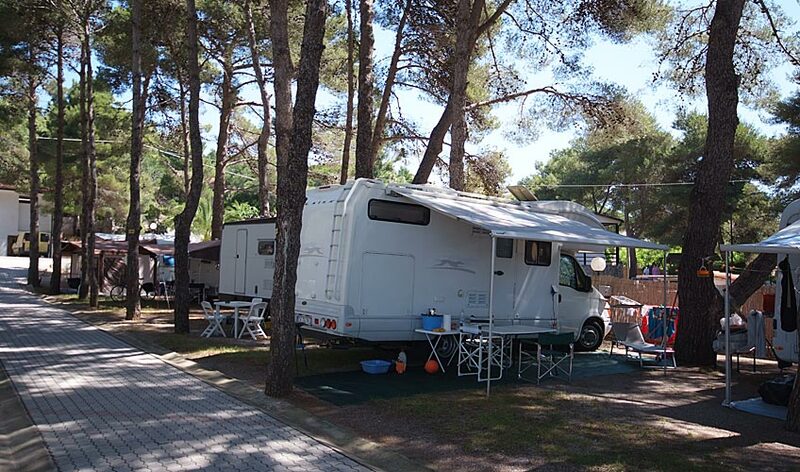 Neither the Caravans Country nor the Caravans De Luxe have a bathroom or running water, so guests have to use the facilities on the campsite (warm water free). - a bowling green, a games room with a billiards table, table football, videogames and table tennis. On the beach of Lido you can find mooring buoys for our guests, windsurf schools, rubber dinghy and pedalo rental, and the Talas diving center; there are also restaurants, pizzerias, supermarkets, tennis courts, and car, scooter and mountain bike rental. The nearest supermarkets are just 1 km away. 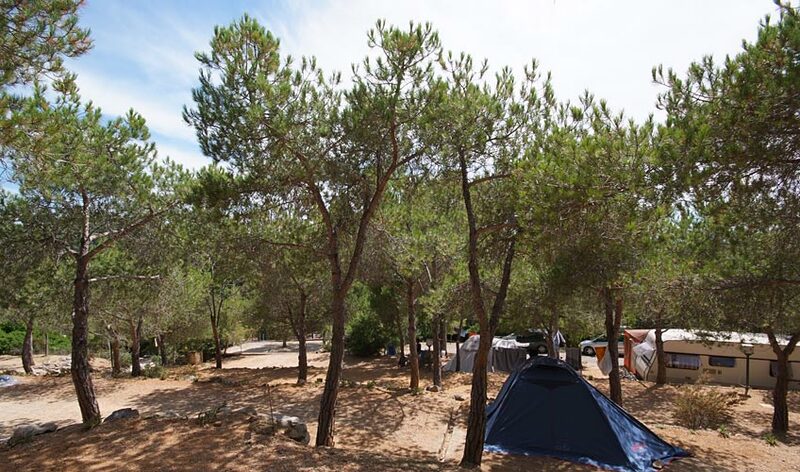 The Camping Village Europa is just a few steps away from the bus stop for Portoferraio (9 km away), Porto Azzurro and Capoliveri (3 km away).